Winnie Mehta was never really convinced that Raj was her soulmate, but their love was written in the stars. Literally, a pandit predicted Winnie would find the love of her life before her 18th birthday, and Raj meets all of the qualifications. Which is why Winnie is shocked to return from her summer at film camp to find her boyfriend of three years hooking up with Jenny Dickens. Worse, Raj is crowned chair of the student film festival, a spot Winnie was counting on for her film school applications. As a self-proclaimed Bollywood expert, Winnie knows this is not how her perfect ending is scripted. Then there’s Dev, a fellow film geek, and one of the few people Winnie can count on to help her reclaim control of her story. Dev is smart charming, and challenges Winnie to look beyond her horoscope to find someone she’d pick for herself. But does falling for Dev mean giving up on her prophecy, and her chance to live happily ever after? 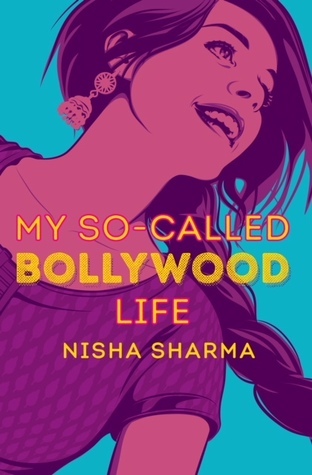 To get her Bollywood-like life on track, Winnie will need a little bit of help from fate, family, and of course, a Bollywood movie star. Personally, I’m sceptical of prophecies, and the astrologers that tell them, but Winnie isn’t. Her whole family has their own ‘‘pandit,’’ who has helped them, in a way, find true love and happiness.